In the cold reaches of deep space, something is making us kill our probes. Our lone life-filled planet is always searching the universe for company. Observatories, satellites and even deep space probes grasp at the furthest reaches of space to find signs of life on other planets. What kind of life? Well, while we'd all like to find little green men some day, it's bacteria that astronomers are really interested in finding in our Solar System. But the very spacecraft we send to look for this life could end up endangering it. To stop this from happening, astronomers do the unthinkable: they kill their probes. 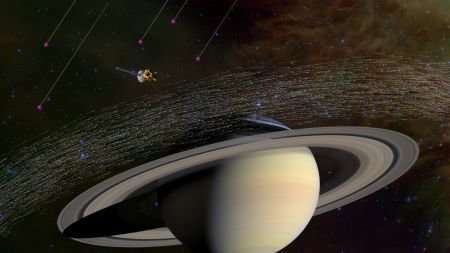 Last year marked the fiery conclusion of the Cassini-Huygens mission. Its 20-year life ended as the probe ran out of fuel and was ordered to destroy itself by plunging into Saturn's deadly atmosphere. It might seem weird to purposely kill a probe that cost $3.9 billion to get to Saturn in the first place, but NASA had a good reason. A probe left in orbit can get lost pretty easily. A piece of lost technology flying around Saturn at 110,000km/h could accidentally hit another probe we send in the future, completely destroying it. Space junk like this is already a problem we have on Earth. It wasn't a lost opportunity, however. NASA turned Cassini's final moments into valuable data collection. The probe sent a live stream of images as it plunged into the planet's atmosphere, even as it was being crushed by Saturn's gravity. Cassini became humanity's first glimpse at Saturn's mysterious interior. But there's another even more interesting reason for instructing Cassini to plunge to its death. Two of Saturn's moons—Enceladus and Titan—could potentially hold the chemical soup needed for early forms of life. However, like stowaway rats on colonial-era ships, space probes carry bacteria from Earth. If a probe like Cassini was to accidentally crash on one of these moons, the bacteria could run loose. This would destroy the environment and kill any possible native life. So we're left with no choice but to sink their ship. NASA tries to stop this without resorting to spacecraft murder. 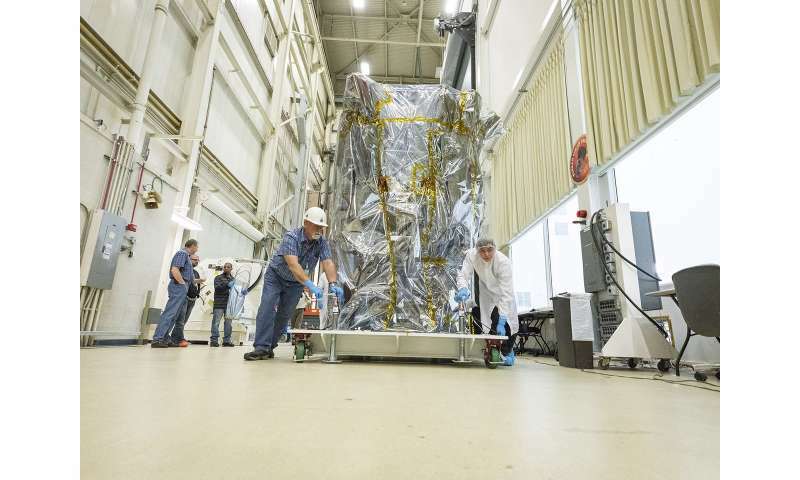 Before they send a probe into deep space, the equipment is stored in a clean room. There, they shower it in disinfectant, then pressure cook it, wash it in freezing cold acidic plasma or even bombard the probe with gamma radiation. But after all that effort, there will still be living bacteria. There are forms of Earth life that can even survive deep space. We're not too worried about infecting our lifeless neighbours like the Moon, but places with liquid water could be breeding grounds for bacteria—whether it's alien or our own. That's why we're taking no risks. Cassini isn't the only probe fated for a fiery death. 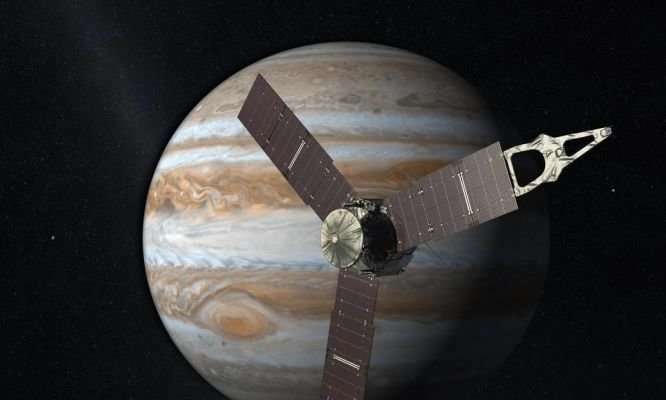 NASA's Juno probe orbiting Jupiter will plunge into the gas giant's atmosphere in 2022 to protect its moon Europa from contamination. It will be a sad but important death for the probe. 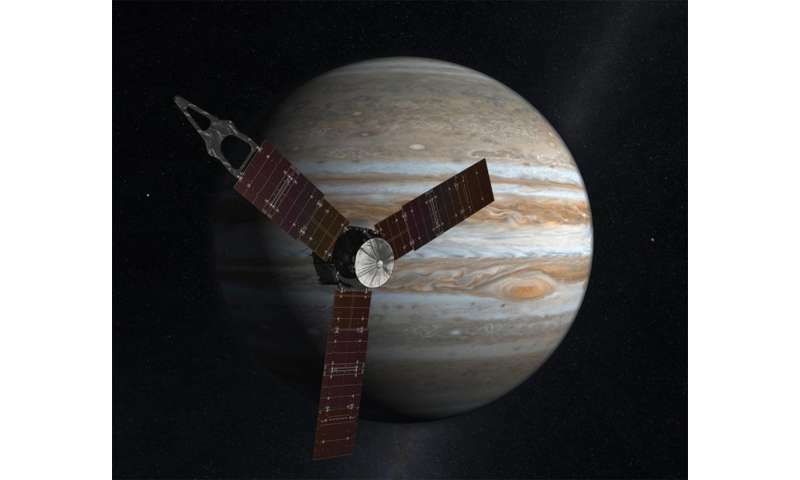 Juno will dive into Jupiter, its signal dying as it reaches the planet's stormy atmosphere. There, deep within the mysterious interior of the planet, it will be crushed, melted, and finally vaporised. In killing Cassini, astronomers protected Saturn's moons from Earth bacteria, so they can one day return to their unspoiled environments and continue the search for life. Thanks to the sacrifice of our spacecraft, we may one day get an answer to the question: are we alone in the universe? I'm just nitpicking and have no real arguments one way or the other...but. As the article says we've found that organisms can survive extreme conditions including space; so how confident can we be that any surviving Earth organisms wouldn't become detached from craft and be floating around before the self destruction? That's a fair question. I'd say it would not be impossible, just very, very long odds. Doing all that is feasible to mitigate such is the best any space program can aspire. I have been mulling over starting a pool for which of the writers for these articles posted to this site, managed to achieve abyssal level stupid. And I think we have a winner! I had always figured it would be panspermia whackos or another premature claim discovering alien life. Australians? It figures. Bunch of English sheep-buggers too stupid to get transported in the right direction to America. Hell. if my sheep-buggering Reaver ancestors could get dumped onto this continent? Were yours too ignorant to chart a course west? Now one of the reasons I have not started the contest? Was the translation problem.. Perhaps this article we just read? Was written by a strine-speaker not very conversant with the English language? Translations from foreign journals are often the victims of trying to make the material legible and coherent in the gibberish that passes for English in the USA. Ehhh? Maybe I should just make it a tontine of clickbait headlines? Pardon me for being curious, but if life is like nowhere but here according to some holy roler types of flat earthers who believe in a real life Alley Oop and Ooola,...then why are we even concerned with finding it elsewhere. And if life finds a way anywhere, then what little we would introduce to our Solar System would be a drop in the bucket and woudl be easily found anyway in a mixed sample. As far as our germs killing alien germs, mithinks it wouls be the other way around. Alien germs in 'life but not as we know it' places would probably not digest our forms of DNA well, and would have been through FAR FAR FAR more hell than we could EVER throw at them. I figure that shagger that slams Aussies for 'avin it off with old wormy sheep 'as a screw loose or just on his own permanent walkabout rat bag. Likely not a yank cuz he does not have a clue of history. Britain dumped its refuse in Van Damen''s Land because we yanks had a revolution to get rid of those bloody bastids 'oo considered our nation a dumpin' ground. So guess Wut'! We stopped them dumping human waste in our State of Georgia. Georgia still stinks and they have a new victim instead of the sheep...their razorback hawgs. I think you are a 'Kiwi as only you guys with wayy too much time on your hands and nuthin to do but sit in your corner and go quietly stark ravin crackers...... would obsess over language the way you do. Saw it before in a woman Kiwi and it was NOT pretty. When correct spellings and grammar were brought up to her she went insane. Threat of legal action cooled her jets.....FAST.